The Diamond iPad...Oh Not Again!!! What's up with all this bling thats been going around lately? And if you really need to do it, PLEASE just stay away from the gorgeous apple products will ya?!!!! 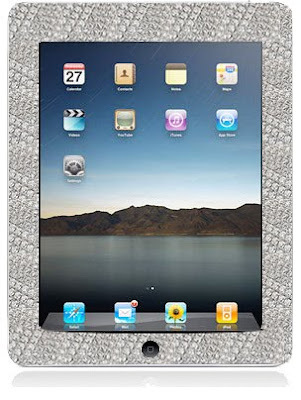 This diamond studded iPad features 11.43 carats of diamonds, hand-set in a micro-pave styling. The price tag: $19,999, available June 1.